MESQUITE, Nev. (AP) - Stephen Paddock had a penchant for guns, high-limit video poker and real estate deals. His father was a notorious fugitive bank robber. He had a recent live-in girlfriend and two ex-wives and seemed to live a comfortable life in a Nevada retirement community. His life is the subject of a sprawling investigation into what drove him to show up at the Mandalay Bay Hotel and Casino with at least 10 suitcases filled with guns and open fire from his 32nd floor suite on a country music festival, killing 59 people and injuring nearly 530. Law enforcement and family members could not explain what would motivate a one-time accountant with no known criminal record to inflict so much carnage. Las Vegas police said he had 23 guns at the hotel, including semiautomatic rifles, and 19 at his home along with thousands of rounds of ammunition. The 64-year-old gunman killed himself in the hotel room before authorities arrived. On the surface, Paddock didn't seem like a typical mass murderer, said Clint Van Zandt, a former FBI hostage negotiator and supervisor in the bureau's behavioral science unit. 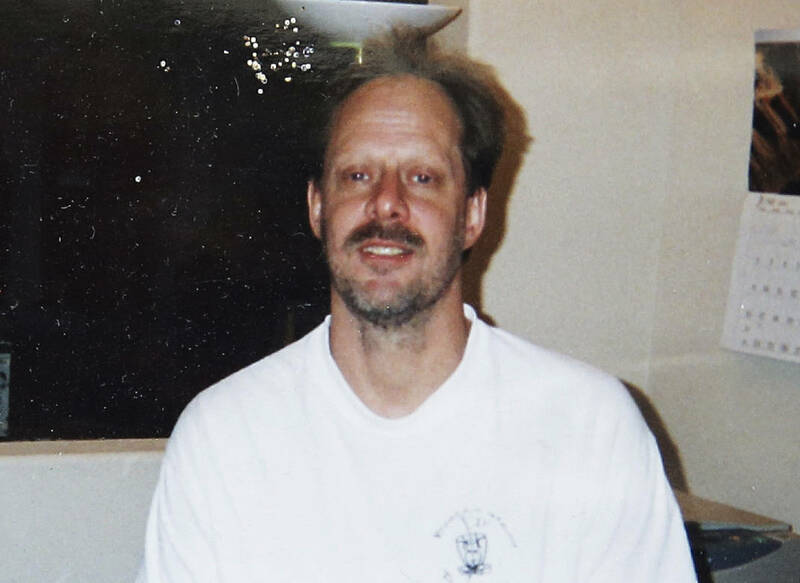 Paddock is much older than the typical shooter and was not known to be suffering from mental illness. Some of the rifles had scopes, the sheriff said. And authorities found two gun stocks that could have let him modify weapons to make them fully automatic, according to two U.S. officials briefed by law enforcement who spoke on condition of anonymity because the investigation is still unfolding. Eric Paddock also told The Associated Press that he had not talked to his brother in six months and last heard from him when Stephen checked in briefly by text message after Hurricane Irma. Their mother spoke with him about two weeks ago, and when he found out recently that she needed a walker, he sent her one, Eric Paddock said. While Stephen Paddock appeared to have no criminal history, his father was a notorious bank robber, Eric Paddock said. Benjamin Hoskins Paddock tried to run down an FBI agent with his car in Las Vegas in 1960 and wound up on the agency's most wanted list after escaping from a federal prison in Texas in 1968, when Stephen Paddock was a teen. He previously lived in another Mesquite - the Dallas suburb of Mesquite, Texas - from 2004 to 2012, according to Mesquite, Texas, police Lt. Brian Parrish. Paddock owned at least three separate rental properties, Parrish said, and there was no indication the police department had any contact with him over that time.